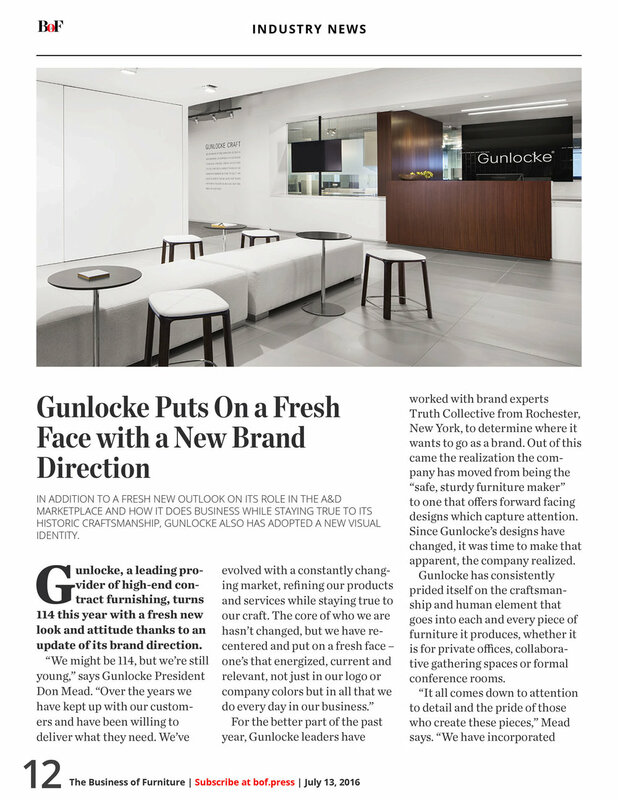 The Business of Furniture: Gunlocke Puts On a Fresh Face with a New Brand. 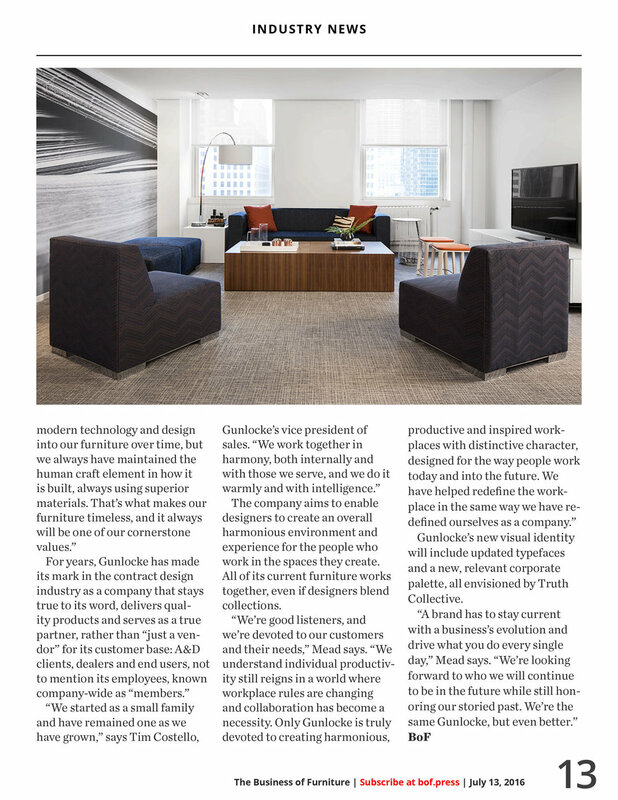 The Business of Furniture covered our Gunlocke rebrand which launched at Chicago's NeoCon 2016 tradeshow. Across advertising, collateral, video, and a showroom redesign, we reinforced the concept of individual achievement and reintroduced the beauty of Gunlocke's craft to help reveal possibility and productivity, imagination and integrity.